Ruchira Khanna – Lekha Ink, Corp.
Ruchira Khanna, a biochemist turned writer, left her homeland of India to study in America, where she obtained her master’s degree in Biochemistry from SJSU and a degree in Technical Writing from UC Berkeley. After finishing her studies, Ruchira worked as a biochemist at a Silicon Valley startup for five years. After the birth of her son, Ruchira took a job as a technical writer, so that she could work from home. Soon, she began doing freelance writing work as well. In addition to writing books, she also maintains an inspirational blog of daily mantras on Blogspot, called Abracabadra. 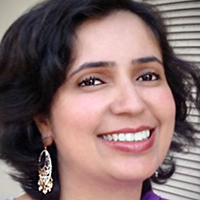 Ruchira currently resides in Sunnyvale, California with her husband and son. In addition to writing, she also enjoys music and nature.